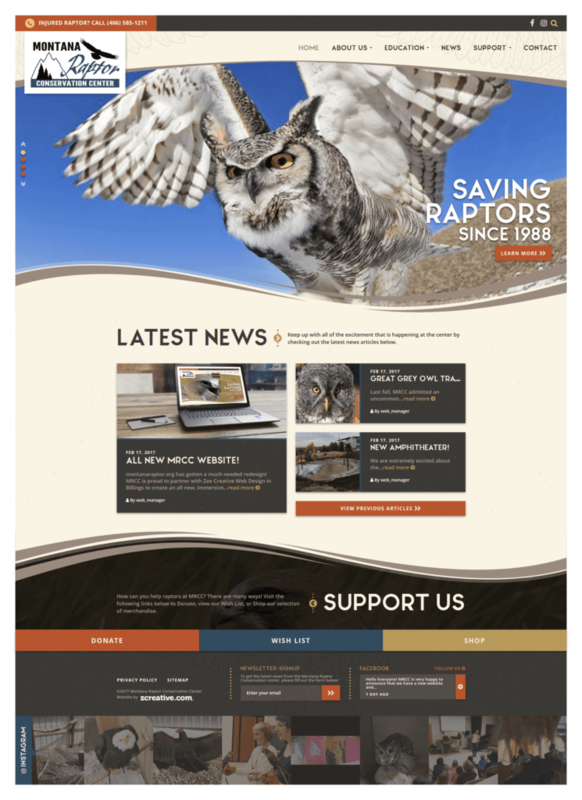 A custom WordPress website designed with zoos and animal rescues in mind. A zoo website should include a few basic things, at the least: visitor information, event information, contact information. But detailed, up-to-date information about your exhibits, amenities, staff, and events can help draw more visitors through your gates. These custom WordPress websites don’t just display your information in a visually pleasing way – they’re also a breeze to update. The WordPress CMS allows you to add, change, or remove content on your site at any time, without any coding knowledge needed. These designs & features also work great for animal rescue organizations and animal shelters. Everything is fully customizable to the needs of your organization, so if you need your site to do something a bit different, just let us know! 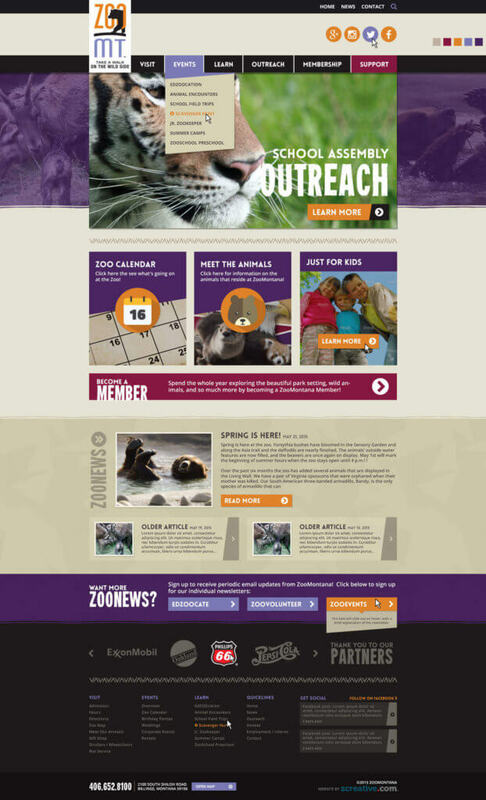 Exhibits: Easily set up and manage zoo exhibits, including species information, categories, event availability, adoption availability, or other custom fields related to your organization. Adoptions/Event Availability: These pages generate depending on how the corresponding exhibit is set up. They display a list of all animals that are available for adoption or events (such as birthday parties). YouTube Video Gallery: Custom page design that displays your latest YouTube videos. Zoo/Shelter News with Administrative Review: Display your latest blogs or news stories on your homepage. Also allows your volunteers or staff to add an article, then submit it for review & publishing by the site administrator. Event Calendar: Easy-to-update event calendar with categories. Partners/Sponsors: Display your partners or sponsors on a custom page or in a design element (such as a footer banner). Venues & Amenities: Formatted display of your venues and amenities including an image, brief description and price if applicable. Online Store: Online store with PayPal payments – can be customized to work with other payment options. Great for branded merchandise sales, online gift shops, event ticket sales, etc.